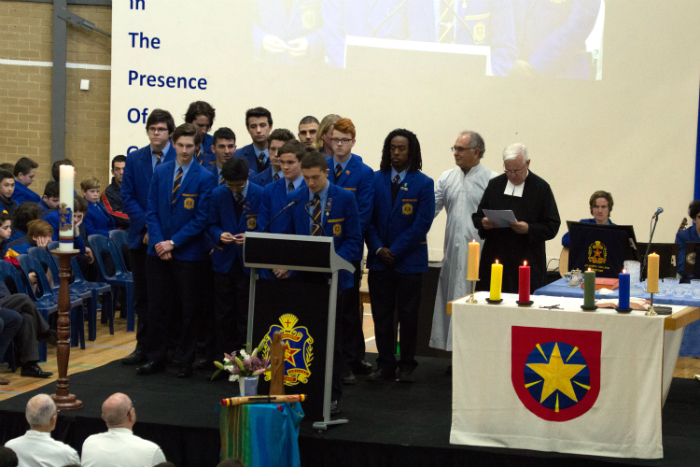 On the 15th August St Bede's College Mentone celebrated Mass for the Feast of Assumption of Mary; a Holy Day of Obligation. 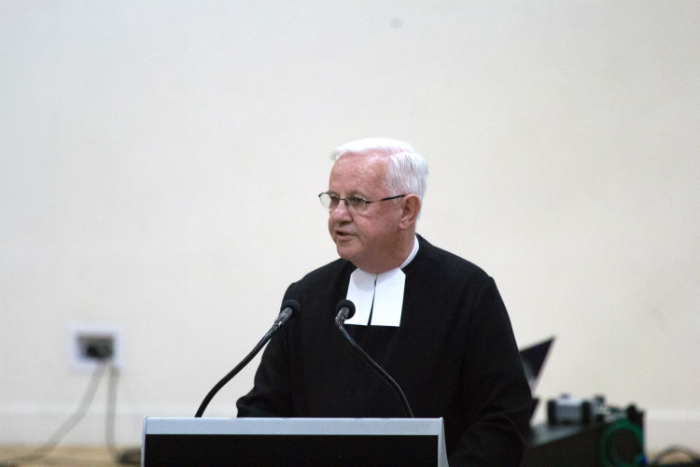 The theme of the Mass was 'Humble Service' and Brother David Hawke, Provincial of the de La Salle Brothers, delivered the reflection on the Gospel. He stated, "when I meet and talk with people from St Bede's or read your newsletter, your annual journal or look at your College website, I see that you have taken a leaf out of Mary's book, where like her, this college sees service as a priority. Like Mary, this college community sets out in haste to respond to needs in a spirit of humble service. we do service because we want to, because we are good human beings, good Christians, good Lasallians and we do not make a show about it." At the same Mass we took the opportunity to present and commission new Lasallian Youth Leaders (LYLs). These young men and other LYLs have continuously volunteered their time and talent by assisting with various school-based and community activities; Retreat programs, Lasallian Youth Gathering Sydney, Caritas Pancake Tuesday, Mission Action Day BBQ, St Brigid's and St Louis' Parish Picnic, Vinnies Soup Van, Friday Night Games, Frankston Homework Help, Vinnies Winter Drive, Vinnies Sleep Out, Knit a Square Club, Have-A-Ball Day, and many other service and prayer activities. On the evening of Assumption Day, the College hosted our first Leaders' Dinner with Brother David Hawke. A group of over 40 past and present College Leaders and Lasallian 'Share the Mission' Volunteers attended "Dinner with Brother David". It was an opportunity to gather together to recall, share and reflect on experiences of leadership and volunteerism in the Lasallian tradition. Faith, Service, Community these Lasallian values were well expressed and celebrated at St Bede's College on the Feast of the Assumption.